Sometime last year my inlaw received a small lorry of some goods from his twin brother staying abroad. The goods were cleared in Lagos and there comes the journey down East. The goods were actually heading to Anambra state. After getting a Yoruba driver, he went straight to the ATM and made withdrawal of 150,000 Naira. According to him it is a normal thing. When you are taking home vehicles or it's likes, you need too much money on you for settlement. You will be seeing many Nigerian security forces littered from pole to pole along the road to the East and in the East. You will be seeing Army, Navy, Immigration, Custom and even Civil Defence are not left out, on the road. They are like gods in the East. They are seen at intervals. My inlaw practically shared almost the entire 150,000 Naira to these crooked men on the highway. Such is the tale of an Easterner. 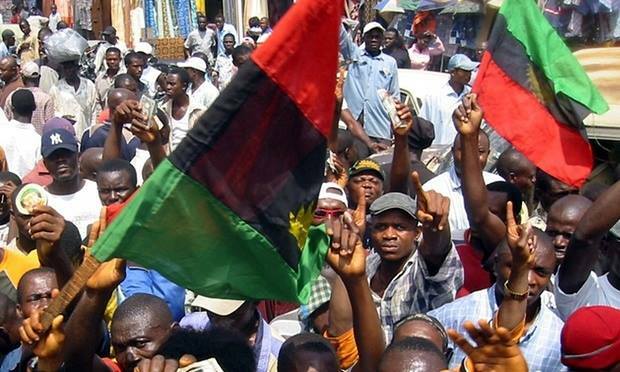 Recall that Nigeria defeated Biafra during the Nigeria/Biafra war as a result of blockade. When Nigeria noticed that they can not defeat Biafra like they boasted earlier, stating that it will take them 3days, with what they called police action, to defeat Biafra. But Biafrans were resolute, they practically defeated Nigerian military until they used economic blockade on Biafra. A blockade which left Biafra land with millions of malnourished children and women. I saw pictures of malnourished mothers feeding their Kwashiorkor infected babies. The pictures are pathetic and too gory. Unfortunately, Nigeria never lifted that blockade on Biafrans till today. Up until today, the people that suffered in Biafra during the war in 1967-70, still suffer all shades of economic blockade in today's Nigeria. To start with, they made sure the entire old Eastern region remained without any working International Airport or Seaport. They use these to make sure they take charge of whatever enters Eastern Nigeria. Nigeria has executed many projects without including Eastern Nigeria in it. A good example is the modern railway project that the North and West are enjoying as am writing this now. Imagine what an Easterner passes through before he can clear his goods in Lagos, far away Yoruba land. The monetary loss, the distance, the risk to life and to goods. I witnessed an accident involving a lorry carrying toilet materials to the East sometime earlier this year. It was white dangerous ceramics everywhere. The pieces of those toilet equipments littered the road. A big economic loss and waste. Something that would have been avoided, had it been Onitsha seaport, Portharcourt seaport and other water ways in the old Eastern region are open to businesses for easy access for businessmen in the East. Imagine a situation where Kano without water ways has a working port, they called it "dry port". The forceful migration of Easters to Lagos is as a result of this economic blockade maintained on the people of Eastern Nigeria unabatedly. Life has been made easy both in the North and West. The HausaFulani who owns and controls Nigeria uses the Yorubas to maintain the status quo. Very unfortunate. Can you now understand why I got mad over a statement credited to the President general an Igbo socio-cultural group' "Ohaneze Ndi Igbo", that he will sabotage any attempt by any group to bring war on Igbo land in the name of Biafra agitation. How can Nnia Nwodo not know that the war never stopped in 1970? It is on this note that I make bold to say that the leaders in Igbo land are under oath of allegiance with those marginalizing us. In fact, today's marginalization is made possible by the people we today call leaders. They have betrayed us in every aspect and in different capacities. They are not leaders for the word of it but boot lickers of the caliphate. Biafrans should start looking in-word, because our problem might be solved from the inside than it can be solved from the outside. It is time to start confronting these betrayals and make them pay heavily for all they have done in keeping us down. This is a call for revolution. They should be made to understand that every of their actions has corresponding consequences. Remember, non of these leaders suffers all these unfortunate blockade that is being levied on us now. They are being maintained by the caliphate as to keep us in perpetual servitude and subterfuge. I am a youth and will soon walk into old age. What have we achieved? Are we going to allow those coming after we have gone to suffer this same fate? We need to do something to let these leaders know that the people can penetrate even the Trojan walls they build around themselves in the name of security. Let us show them that there are consequences for betrayal. Let the blood of any Biafra youth that died in the hands of Nigerian soldiers be paid back by the blood of those that are supposed to keep them safe. 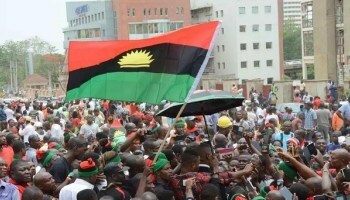 The Innoson and GTBank saga should be an eye opener to Biafrans world wide to know and understand that Biafrans have no leader standing with them in this "oppressive one fake Nigeria". Mazi Nnamdi Kanu the leader of Indigenous People Of Biafra, has his royal home invaded and many killed on that ill-conceived and ill-fated operation codenamed "Operation Python Dance" geared towards stopping the operations of IPOB and most of the so called leaders lost their voices. But little did they know that IPOB is an inferno that can not be quenched, while Biafra has become a phenomenon that can not be stopped. This is a call for revolution.